I try my luck and sometimes I tend to push my luck a little, lol just ask SEGA. But on the rare chance, sometimes it pays off. Like this, for example. Recently while on the NiD15.com bandwagon drumming up support, I decided on a whim, to try directly contacting a certain Mr Yuji Naka. Yes, I know how unlikely that is, how famous he is and how rarely he gives interviews so I didn't think he'd have the time to reply to me. But I'd heard rumors about his total love for NiGHTS into Dreams, so I figured it wouldn't hurt to take a chance and ask. Saying that I was surprised to see the topic "Yuji Naka has sent you a message" waiting in my inbox is an understatement. I had a total surreal moment wash over me. There were language barriers though, with me not being able to write Japanese and him not being able to write much in English. I figured because of that then communication with the man would stop there. Still, I tried my luck further and asked him if I were to get a translator in to help us communicate would he still be down for doing an interview? I had my doubts. Yuji Naka has a lot going on at the minute with PROPE… and here I was asking for an interview about NiGHTS, a game that was released in 1996. I was ready to give up hope when I recieved another message saying that he would indeed love to do an interview on NiGHTS for the fans. Yes. Really. Yuji Naka has given NiGHTSintoDreams.com probably one of the best interviews we could have ever hoped to obtain. Aside from our translator, there was no other middle men involved in this interview taking place. It was just me and TRiP asking Naka-san about NiGHTS. You couldn't get any closer to the heart of NiGHTS than this. Direct from the creator to the fans. True fact, Yuji Naka had sent his reply to our questions on NiGHTS' 14th Birthday but we were not able to have it translated in time. I always say better late than never though and this truly is one of those moments. If there is one man that NiGHTS fans need to thank then it would be Yuji Naka. I sometimes think that as a fanbase we take for granted the person hugely responsible for us having this cherished game in the first place. True, there were a lot of other people involved in making NiGHTS into Dreams the classic it is today but as far as higher-ups go you couldn't get any higher than Yuji Naka. He envisioned so much and really gave his all to the game. Taking good care of the character while he was still head of Sonic Team. Now, over 14 years on the fans are still here stronger than ever. I'd like to think Yuji Naka succeeded in what he set out to do for us with NiGHTS. We wanted to ask him questions that general gaming sites and magazines hadn't asked him before. The geeky fan stuff. Less about the technical side of things and more about the heart and purpose of the game. We had 24 hours to think of the things we wanted to know the most. In the end 18 questions were put forward. Things that had been picking our brains for a very long time. The NiGHTS community is smaller than Sonic's and moments like this come rarely. However, I like to think that makes them all the more sweeter. Yuji Naka: Thank you very much for loving NiGHTS. Today (5th July 2010) is NiGHTS' 14th birthday. Happy birthday NiGHTS. Nidcom: NiGHTS resembles a jester and the Nightmaren are very darkly circus themed. Is there a reason as to why this specific design idea was chosen? Yuji Naka: When the idea of the Dream World was imagined, The Jester like character was created rather easily. Their duality (cheerful and happy as well as, dark, evil and mean spirit) fit well to the theme of the Dream World. Nidcom: Is it true that Cirque Du Soleil played a big part in the inspiration of the game design? Was there a show in particular? A NiGHTS Cirque Du Soleil show would be fantastic! Yuji Naka: It was Cirque du Soleil that contributed the most inspiration for creating NiGHTS. 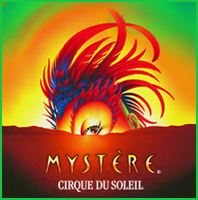 At that time, Mystère was playing at Las Vegas' Treasure Island. I was so overwhelmed by the imagery of the world of Mystère when I saw it for the first time. Even to this day, that is one of my favorite shows. I hope that a lot of people will go to see that show. Cirque du Soleil is great. Nidcom: Is it true that the very few character voices in the game were recorded anonymously by team members who were working late at night in the offices? Can you tell us a little about how the random dream language was created? Is it partially Japanese? Yuji Naka: Yes, it was true. In every character, a few words from our team members’ voice over were used. We were recording at night because our office had no sound proof studio. The word for NiGHTS, "Adeema", or the words for Reala, "Beadichnoa NiGHTS" were created by Mr. Iizuka after much reflection. Each word actually has a meaning. Adeema = abayo (which means good bye in Japanese slang). Beadichinoa NiGHTS = come on NiGHTS, Etc. Nidcom: One particular thing NiGHTS into Dreams is always praised for is the music. You captured a lot of genre's of music in one game. Does the music in the game reflect your own personal tastes in music and what are your own preferred types of music? Yuji Naka: The background music for NiGHTS was a magnificently composed piece. Of all the games I have created, the music of NiGHTS is my favorite. I remember that I had goose bumps when the orchestral recording was played. Personally I like to listen to everything from pop music to movie soundtracks and stage musical scores. Nidcom: One of the reasons NiGHTS into Dreams is very popular with female gamers is the character of NiGHTS erases gender stereotypes, which is rare in gaming especially today. Was this idea there from the beginning? Yuji Naka: Men or women, we all have dreams, so I thought that the residents in the dream world shouldn’t have a gender, rather, the form of the characters should be determined by the person who is dreaming. Yuji Naka: This setting was unique and never seen in any other game. It is understandable that questions about gender would arise, since European languages have gender specific words. Nidcom: Is there meaning behind the lower case 'i' in the name NiGHTS? Some fans speculate that it may stand for 'imagination' or 'Id' from Freudian research. Yuji Naka: The "i" in the logo, was imagined from the gem on NiGHTS' chest. At first, the logo design was created to distinguish the word NiGHTS from Nights. NiGHTS was then used throughout the game. Nidcom: NiGHTS into Dreams has a lot of symbolism, you and Sonic Team did a lot of research into dream studies and Jung's Dream Archetypes. It is speculated that each character in NiGHTS is influenced by a specific Archetype. What Archetype inspired NiGHTS, if any? Yuji Naka: NiGHTS, a hero, originated in “Shadow” which means another side of the self as defined by Jung in his dream definitions. Elliot and Claris, who have strayed from the dream world, originated from Jung’s Animus and Anima. Persona items that appear in the Wii version originate from Jung's dream theory, too. Nidcom: Other than NiGHTS, is there any other character in NiGHTS into Dreams that you really like and why? Jackle seems to have a large following, as does Reala. Yuji Naka: Of course NiGHTS is my favorite, but Reala and Wizeman are two of my favorite characters because they contribute to constructing the outlook of the dream world. Nidcom: Many years ago I read an interview with Sonic Team where the sources of dream research were discussed. Jung and Freud were mentioned but a third name 'Friedrich Holtz' was said to be central to NiGHTS into Dreams. Can you tell us a bit about this man and how his work influenced the game? We have tried to research Holtz for many years yet we have found little about him. 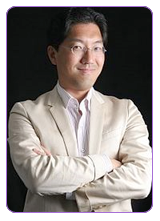 Yuji Naka: He is one of the psychologists who followed Jung's thoughts. 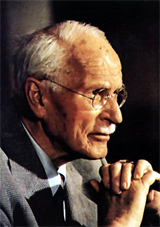 He too defined dream elements as much as Jung, and showed us "another world" which we called the “Dream World.” NiGHTS also reflects the thoughts of scholars who researched these dreams. Nidcom: It is now well known that there was an idea for a boss called Selph. What became of this boss, why did it not make it in to the final game and what did the boss look like? Yuji Naka: Selph is one of the original types of Jung's theory. This idea was omitted since the production period was short on time. It was thought that it would be introduced as a concealed boss, as the one defined as "Myself I could never be exceeded". Visualization of this character was made to some degree. Nidcom: Is it true that in the 1990's a PC version of NiGHTS into Dreams was planned? There was a rumour that it existed at one point and one of the new levels was called 'Sparkle Attic'? Can you tell us more about this, perhaps? Yuji Naka: I thought production was completed. Wasn't the PC version put on the market? I actually participated in the release of the PC version of NiGHTS in Akihabara. So I thought it was on the market. But this is for sure, there is no new level. Nidcom: (The above is news to us!) This means that non PS2 code exists to create a port! Nidcom: Is it true that when developing the control pad to make flying experience as immersive as possible a NiGHTS-shaped controller was designed? Yuji Naka: Yes, it was true. We developed the control pad with the thought of the game player feeling NiGHTS' flying more realistically. The shape of controller was made the way it was after a lot trial and error. Most importantly the player's grip should be as natural as possible when they play. 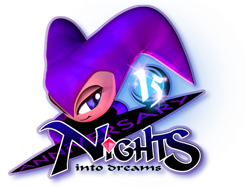 Nidcom: NiGHTS is considered to be one the most magical, inspiring and mischievous characters Sonic Team ever created, continuing on through dreams long after the game has been won. Has NiGHTS ever appeared in your own dreams? Yuji Naka: Of course. NiGHTS came from your dreams too. Being so, NiGHTS will keep living for a long time. Nidcom: What do you think is the most important part of creating games? Yuji Naka: Most importantly how much would customers enjoy playing. Especially in NiGHTS, how much fun the feeling would be when they played the game. Nidcom: NiGHTS really has captured the hearts of many people. It is rare for a game to effect people in the way NiGHTS has been able to. Looking back, you said one thing you hoped NiGHTS would do is help people. Now, 14 years on, do you feel you had achieved that goal? Yuji Naka: My initial goal has been reached and there may be more wonderful things happening. So many people loved NiGHTS for such a long time. I felt very happy throughout my career as a game creator, that the game influenced and touched the hearts of so many. Thank you so much for loving NiGHTS. Nidcom: There had been talk of a NiGHTS sequel for many years after the Saturn game. The sequel, Journey of Dreams was made however you were no longer part of Sonic Team by that point. If it were somehow possible would you ever consider making another NiGHTS game, if you were asked to? Yuji Naka: I have been asked hundreds of times to make the sequel of NiGHTS, but have no desire to create one. 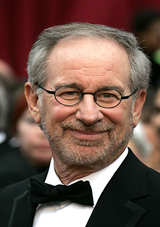 As I feel the same way that my beloved Mr. Steven Spielberg would never make a sequel to ET because it was his first work and such a fantastic film. I feel the same way about NiGHTS. Oh, the first person to play NiGHTS, other than the SEGA team, was Mr. Spielberg. During the development of the NiGHTS game, he visited SEGA and we asked him to play with an experimental version of the new controller. Since then we called it the Spielberg controller. Nidcom: We are hoping SEGA will listen to the NiD15.com campaign to have NiGHTS into Dreams ported to this generation of gaming consoles. Would you, the creator of the game, like to see the game ported so that this generation of gamers can experience the game too? Yuji Naka: Creating an environment to be able to play the game for a long span of time, like a movie, would be very satisfying as a game creator. Please continue giving your support for PROPE and SEGA. AND DON'T FORGET TO REGISTER YOUR VOTE AT NiD15.COM IF YOU WANT TO PLAY A PORT OF NiGHTS INTO DREAMS. Every vote counts. Yuji Naka’s favourite game soundtrack? OSV: So, of all the game projects you’ve worked on, which game has the best soundtrack? Yuji Naka: Of all the title’s I’ve been involved with, it would probably have to be NiGHTS into Dreams. That was the best one that I remember. Next would be Phantasy Star Universe or Phantasy Star Online. Anything that I made with the Sonic team… all of it was great. Read the full interview from OriginalSoundVersion.com here.